The time to learn more about the benefits of chiropractic care on mobility and other physical disabilities is now; National Chiropractic Health Month in October promotes moving more and learning about the ways chiropractic treatment works. Talk to your providers about how to introduce and implement chiropractic care into your lifestyle to improve mobility and preserve autonomy. As fall approaches, do you find issues with mobility and access? When looking for solutions to accessibility issues, make time to talk with mobility experts; however, when considering your options for improving overall health that could be contributing to physical limitations, consider consulting with a chiropractor. It is estimated that around 22-million Americans seek chiropractic treatment or adjustments each year. Talk to your provider or physician about incorporating chiropractic care into your healthcare regimen. What better time than National Chiropractic Health Month, in October, to learn more about whether you are a candidate for chiropractic treatment. This national observance is a time to encourage the public to move more and preserve their musculoskeletal health and well-being. Through workshops, seminars, and demonstrations, chiropractors hope to share the many health advantages of chiropractic care. In the event of an injury, chiropractic treatment contributes to a regimen that is conducive to healing and recovery for patients of all ages. For chiropractic patients that have mobility issues or physical limitations, the advantages are multi-fold. Chiropractic care shows great promise at effectively increasing range of motion among these clients, while potentially reducing the need and dependence on pharmaceuticals. Since many prescription pain medications have severe side-effects and the potential for dependence, chiropractic care could be an integral element of a holistic and healthful treatment regimen. Speeds recovery of sports-related injuries. Chiropractic care assists with athletic injury, helping sports-related injuries heal much faster. Without physical therapy and chiropractic follow-up, muscular injuries can cause prolonged issues, particularly for seniors. Stay active but treat your injuries with chiropractic aftercare. Promotes moving and mobility. Movement is an integral component of overall health and wellness. It is imperative for you to monitor and protect the health of bones and muscles as you get older; this will ward-off potential falls, helping maintain balance and mobility. Regular activity also helps reduce the severity and frequency of joint, back, or muscle pain. Lowers inflammation. One of the main objectives of chiropractic treatment is to lower inflammation in your muscles and joints, which helps to repair and restore the body faster. When the swelling goes down, it is easier to move and recover from your injury or affliction. Reduces stress and tension. Regular chiropractic care lowers stress and muscle tension throughout the body. Alleviates back pain. Back pain is purported to be one of the most common and debilitating conditions that you can have; the purpose of chiropractic care in many cases is to manipulate the spine with a variety of techniques and keep your musculoskeletal system moving. Improves breathing. Regular chiropractic treatment improves respiratory health and also provides insight into deep-breathing techniques. Relieves headaches. Chiropractic care helps reduce headaches, including migraines and tension or stress-related headache pain. Lowers blood pressure. Chiropractic care lowers overall blood pressure – especially important for seniors. Boosts immunity. Chiropractic treatment boosts immunities, which helps to fend-off illnesses. Seniors, in particular, are at risk of picking up illness which can have debilitating impacts on independence and life quality. Prevents digestion issues. If you suffer from acid reflux, chiropractic treatment combats indigestion and heartburn. Helps pulmonary function. Chiropractic adjustments can improve pulmonary function and promotes good heart health. This is beneficial for chiropractic patients of all ages! Increases energy. Did you know that chiropractic treatments boost energy? This is a great way to battle fatigue, which has serious health repercussions. Besides, who doesn’t want to feel alert and energized? Chiropractic treatment is lauded for reducing pain, particularly back, neck, and sciatica pain. Subsequently, this may foster more movement and rehabilitation, while reducing the need for medications. This sets up a scenario that promotes healing and hastens recovery. Chiropractic medicine first emerged around 120 years ago, but it has only been embraced for the last 30-plus years. It is no longer difficult to find a qualified chiropractor widely in the United States, and there are likely practitioners in your region. Know that after your first chiropractic appointment or adjustment, you may feel some soreness initially; don’t worry. This should alleviate and lessen in a couple days; if it persists, talk to your chiropractor about discontinuing or delaying treatment. 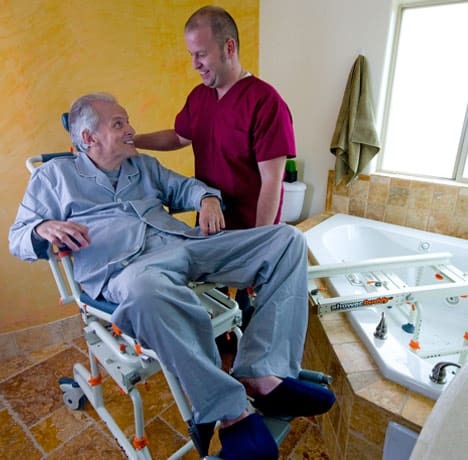 Don’t live another day struggling with mobility issues and physical limitations that impact your overall quality of life. Talk to your physician about how chiropractic care could help your condition and reach out to the mobility experts in the area for equipment and aids to make every-day living much easier and more accessible. Next Post Which Bathroom Accessibility Aids Best Meet Your Unique Needs?